A new double disc pump for sewage and sludge pumping at municipal WWTPS. We recently asked municipal operators who had either a Penn Valley double disc pump or Wastecorp Sludge Pro double disc pump what they would like to see in future product offerings for sewage pumping. The overwhelming response was a compact fit with easy-to change parts when needed. Wastecorp spent years in research and development designing a new type of double disc pump that provides both engineers and operators an option with low maintenance double disc pumps. We have fielded endless calls from operators over the years complaining about the high cost of rotary lobe and progressive cavity pump parts. While the initial cost may be lower for the pump, the final cost when incorporating parts costs throughout the lifecycle can end up being tens of thousands more than other sewage pumps. Wastecorp is thrilled to announce the launch of the new easy-to-use Sludge Pro Space Saver Double Disc Pump. 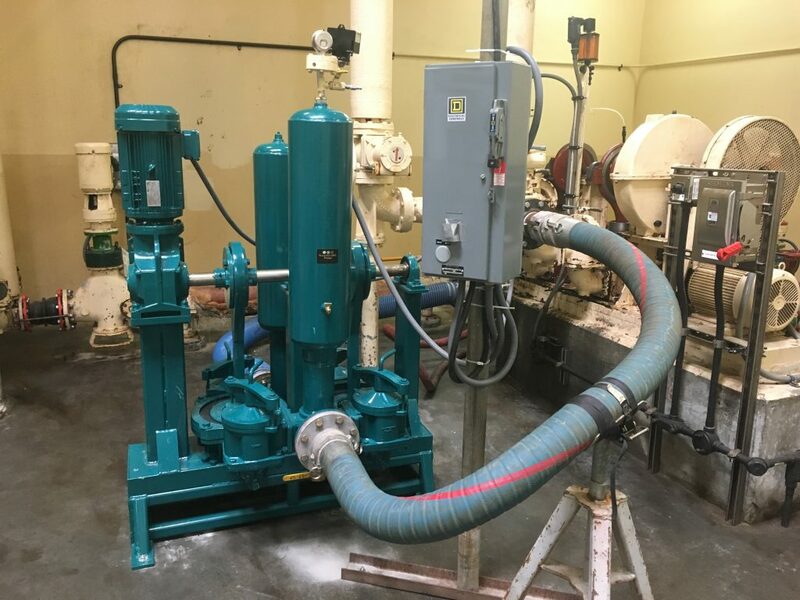 The Sludge Pro is designed to pump municipal sewage, industrial wastewater and solids and much more. The Space Saver can pass 2 1/2” spherical solids on all 3”, 4” and 6” connection sizes thanks to Wastecorp’s robust full port ridged clack valve technology. Penn Valley double disc pumps are only able to pass 1” solids on a comparable 4” pump and requires an extensive disassembly process to replace the discs and trunnions. You can see the differences in the Sludge Pro and Penn Valley in a new comparison video. The Space Saver double disc pump is a type of sewage pump designed to pump municipal wastewater and sewage. Where Is A Double Disc Pump Installed? What Size Solids Can The Sludge Pro Pass? The sludge Pro can pass up to 2.5″ solids, compare that to about 1 inch solids for the red kind. When is The Sludge Pro Space Saver Available? The sludge Pro is available now.